Ensure 12mm Outlet hose is kept as straight as possible when returned to sump & ensure it is securely fastened in return position. If machine has filter unit can be fitted after this point. Event of no suction ensure Vacuum cup is clean. 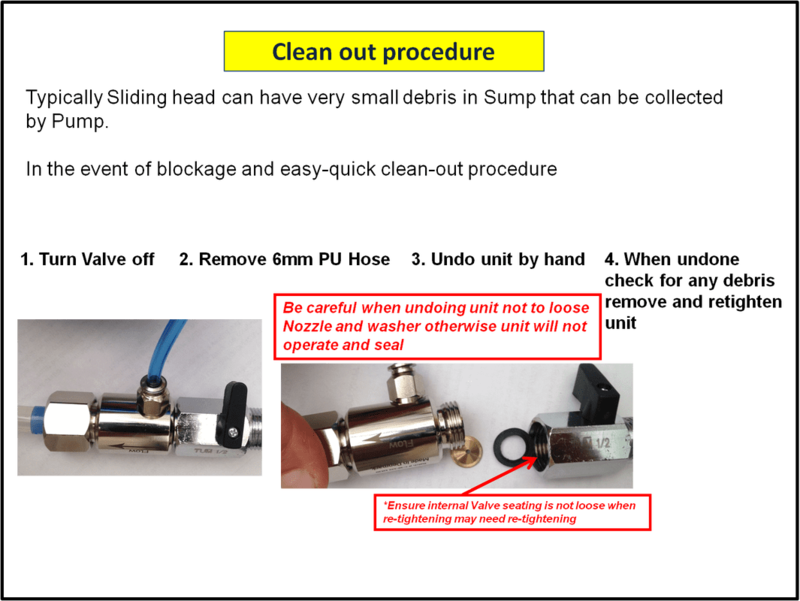 In the case there is no coolant or oil coming out of the 12mm Outlet hose the unit may be blocked.This may mean the unit will need to be undone and cleaned out. Higher thichkness neat oil application suction can be improved by installing Oil saver nearer to pump. 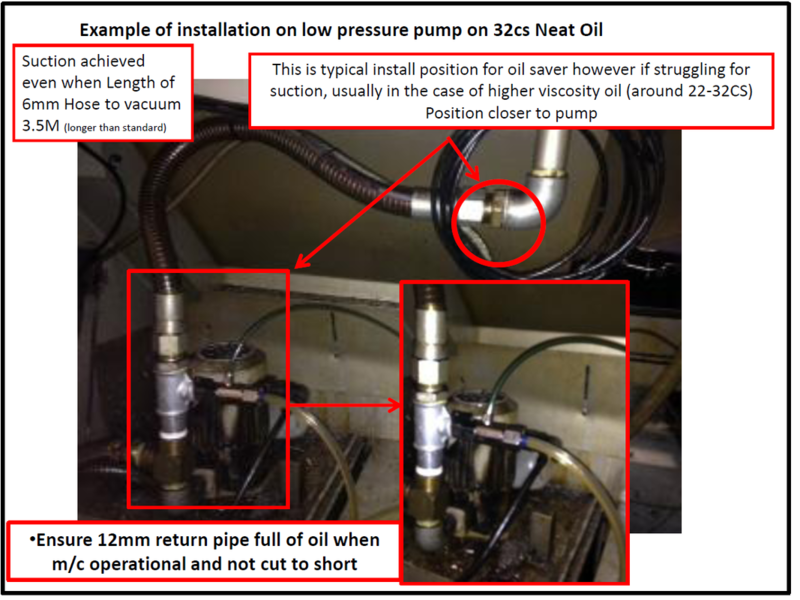 Typically install position on left hand side would be fine for thinner neat oil but on thicker 22cs+ unit had to be installed closer to pump achieve satisfactory suction. Also 12mm Outlet hose was straight on return to sump.